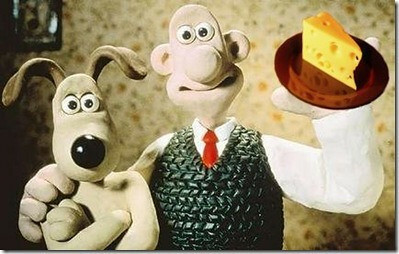 How to: I made cheese Gromit! I love cheese...seriously...I don't think I have met a cheese I don't like, and that includes some of the stinkier variety. I also love kitchen experiments. So, armed with Karen Solomon's book jam it, pickle it, cure it-and other cooking projects (a gift from The Red Menace), I set off on an adventure of making my own queso blanco. It's no wendselydale but it's a pretty nice cheese and pretty easy to make at home (no cheese cave required). 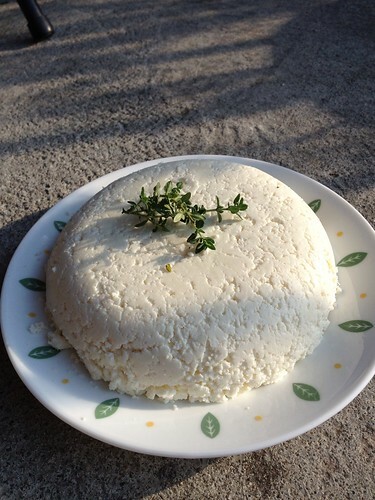 As mentioned, this is probably one of the easiest cheeses to make at home. You don't really need anything special, except a thermometer (I used a candy thermometer), a fine mesh sieve, and a clean kitchen towel-all things I had on hand. The books discusses a cheese press...but you can work around that. 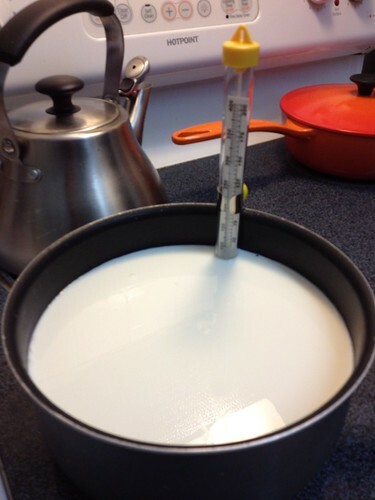 To start, put milk in a saucepan and heat the milk to 185-190 degrees. When it gets to temperature, slowly add the vinegar. Stir it gently, and you will see the curd start to form quite quickly. Let them solidify more, occasionally stirring gently for about 10 minutes By the way, have you ever wondered the heck Miss Muffet was eating? Well, here it is, curds and whey. Why she would want to eat that plain is beyond me, but I digress. The curds are very fragile, so carefully drain them from the whey using a fine wire sieve. 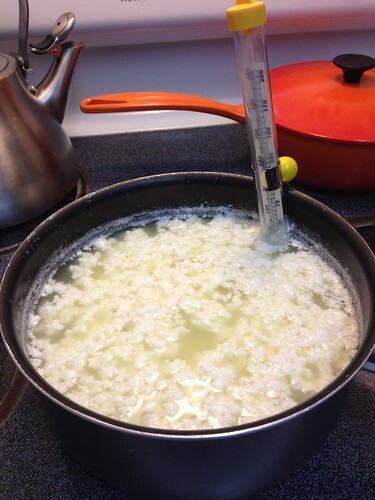 Transfer the curds to a bowl and mix in your salt, again...carefully (seeing a trend here?). Next transfer curds to the center of a clean kitchen towel, tie the towel up and squeeze gently to release additional mixture. Then, hang the towel over a bowl or the sink for 30-45 minutes until the dripping stops. I don't have a cheese press, so I transferred my drained curds to a small bowl and used that as mold. 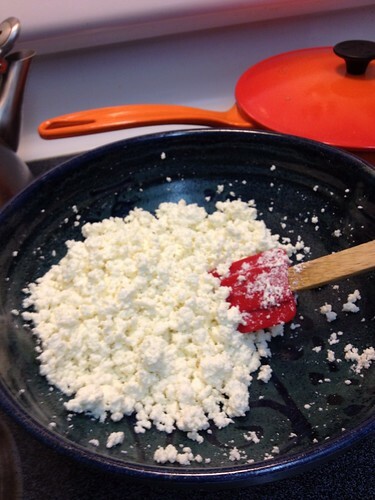 Press the curds into the bowl and then place a weight on top to press the cheese into your mold. Let it set in the fridge for about 3-4 hours. Carefully un-mold and et voila! As you can see, mine is a little crumbly. I think I was a little over aggressive with squeezing out the moisture/whey. So next time, a little less brute strength...but still it was tasty and pleasantly salty. This cheese goes especially well with fruit-I served it with figs- or with something acidic like salsa or a spritz of lemon.